Mary Ida Stockburger, 94, died on February 10, 2019, at her home where she had been cared for many years by her daughter, Sherry Stockburger. Mary was born December 13, 1924, near Samson, Alabama to William Lester Pinckard and Ida Eliza (Patterson) Pinckard. She had eight siblings, Margaret Teressa Pinckard, William Henry Pinckard, Wendell Lamar Pinckard, Gwennie Beatrice Pinckard, Joel Daniel Pinckard, William Bunyon Pinckard, James Fred Pinckard and Oscar Patterson Pinckard. Having graduated from Troy High School in Troy Alabama, Mary received her teaching certificate. She taught at many elementary schools in Bradley and Polk counties including: Michigan Avenue, Ocoee, Ducktown, Old Fort, Flint Springs, Big Springs and Waterville. She loved teaching and cherished her students, years later former students continue to comment on the difference she made. On November 18, 1956, she married Jacob Donald Stockburger. They made their home in the Flint Springs area of Bradley County. Mary and Donald had two daughters, Donna Marie (Robert) Heflin and Sherry Stockburger. Mary was a member of the Flint Springs Cumberland Presbyterian Church where she was actively involved in what is today the Cumberland Presbyterian Women’s Ministry. She was also a member of what was the Home Demonstration Club. Some of her interests included reading, gardening, tending her violets, sitting outside, cooking, and projects for her students. She enjoyed visits with her grandchildren, numerous nieces and nephews and extended family. 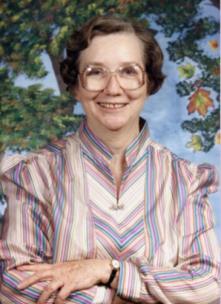 Mary was preceded in death by her parents, siblings, husband and granddaughter, Mary Ruth Heflin. Left to honor and remember Mary are her two daughters Donna and Sherry, son-in-law, Robert Heflin; two granddaughters, Laura Heflin and Leanah Heflin; three sisters-in-law, Amy Dean Pinckard, Jo Pinckard and Cassandra Stockburger as well as numerous nieces, nephews, and students. Funeral services will be held at 11 a.m. on Tuesday, Feb. 12, in the chapel Fike-Randolph and Son Funeral Home with Reverend Robert Heflin officiating. Interment will be in Hilcrest Memorial Gardens with Reverend Kevin Wilson performing the committal. Honorary pallbearers are former Flint Springs students Breck Helms, David Conley, Sr., Paul Holmes, John Malcolm Hannah and Janice Hannah Parker. The family will receive friends on Monday, Feb. 11, from 5-7 p.m. at the funeral home. We invite you to send a message of condolence and view the Stockburger family guestbook at www.fikefh.com.